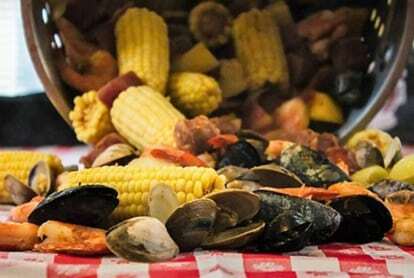 Best Restaurants inOBX – Everyone’s an Expert! With yelp, trip advisor and google, these days its almost information overload on what restaurants to chose from. The Outer Banks is no different, plenty of fantastic choices and everyone is an expert! I mean really, what are the best restaurants in the Outer Banks? Here at Live Swell, we never claim to be experts in anything, but one thing we do love is food and eating. So we can share what we like, and if you’re like us, you’ll probably like these places too. We love places that have a good vibe and feature quality ingredients. We have listed a few of our favorites from budget friendly to those go out and splurge nights. 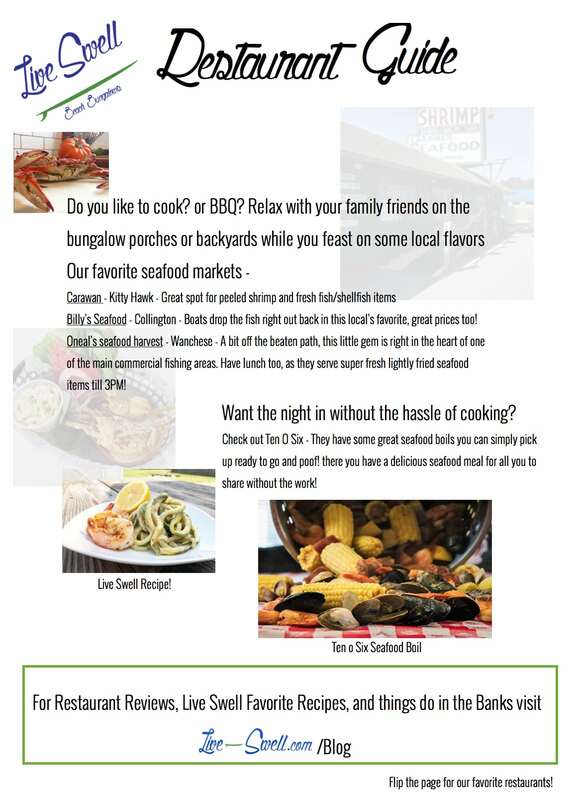 But really what our favorite thing to do is, is stop by a local market and pick up some fresh NC seafood and put together the perfect bbq with family and friends in the backyard or deck of one of our bungalows. Stay tuned for the Live Swell Recipe Book and Cooking series! Coming soon! 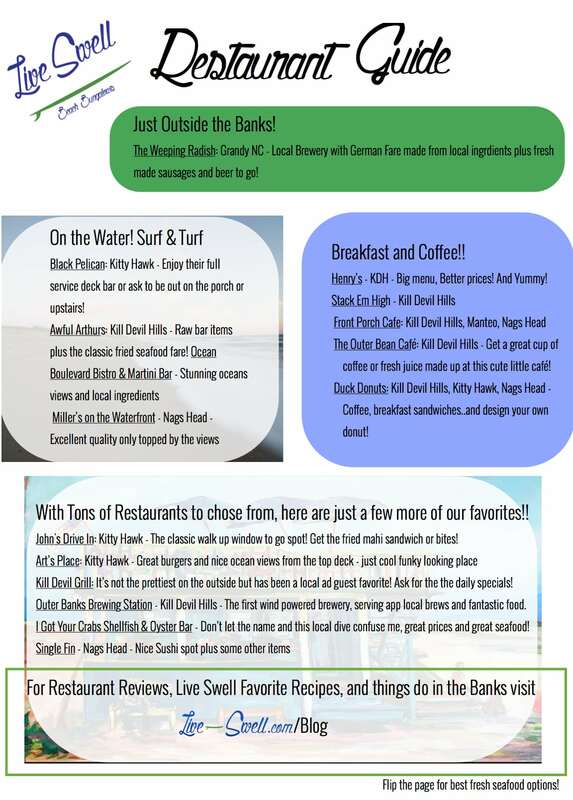 So if you love eating, like a place with good vibe, good and tasty choices, this list just might be the perfect place to start your OBX culinary experience and find the best restaurants in the Outer Banks right for you! P.S – If we had to pick our favorite spot – its a no frills fish market that’s got a great fried fish and great prices, just go to the Wanchese harbor where fish gets dropped off daily and have them fry you up something tasty!